Extra places paid at one fifth odds, 18+, T&C’s apply. 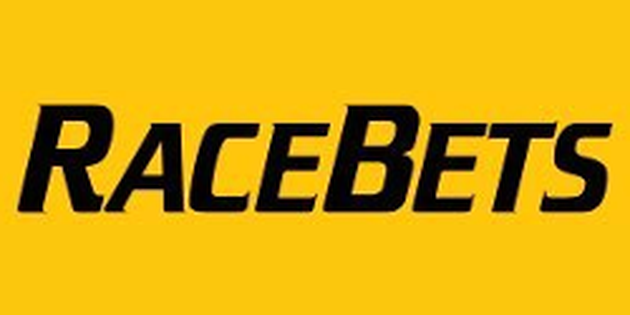 In the Greenham Stakes at Newbury this afternoon (race start: 2;40pm), Racebets are offering MONEY BACK AS A FREE BET, if the SP Favorite wins the race on ALL losers. Simply back a horse in the race and if the SP favourite wins the race, receive your money back as a free bet to a maximum of £10. Simply join and deposit a minimum of £10 and then wager it fully. Enter bonus code: Welcome and be credited with an amount matched to your initial deposit to a maximum of £50. Your first deposit, must be gambled fully to qualify for this offer. Qualifying first deposits must be a minimum of £10. Deposits done using Skrill, Neteller or Paysafecard as deposit method do not qualify for this offer except for the following countries: Japan, India. Furthermore deposits from UK and Irish customers via pre-paid credit cards do not qualify for this bonus. The maximum 100% matched first deposit bonus that can be claimed is £50. To bet with your bonus, play through the amount of your qualifying deposit once, then enter bonus code WELCOME in the Bonus section to activate the welcome bonus cash. The Welcome bonus qualifying time period is 45 days from the date of new account registration. Therefore you must make and wager your qualifying first deposit as well as enter the WELCOME bonus code within 45 days of registering a new account and before a withdrawal is actioned. Please note that all initial bets must be settled before you can claim the bonus. You will need to roll-over your welcome bonus cash 5 times prior to making a withdrawal. Wagering of the bonus cash must be completed within 30 days of activating the bonus. Wherever possible, stakes are taken from your withdrawable balance first, however they still count towards the bonus requirements. Any withdrawal made after the qualifying deposit and at any time during the rollover period will result in a forfeit of the full bonus amount. Failure to meet any of the Welcome bonus time limit requirements will result in the bonus amount and any winnings gained using the bonus cash that still requires wagering to be forfeited. Existing account holders do not qualify. This offer cannot be used in conjunction with any other open account offer and is subject to mobile verification. Any bets placed containing selections at odds of less than 1/2 (1.50) and refunded stakes will not count towards any roll-over requirement. This also applies to bets placed while playing through the amount of your qualifying deposit. Should two or more bets on different results be assigned on the same event, only the stakes of the first bet assigned shall be counted. Should the terms and conditions of any promotional offer be breached or should evidence be found that betting activity, either by one customer or a group of customers, has been carried out that guarantees a profit by taking advantage of free bets, enhanced payouts, deposit bonuses, or any other promotional offer, RaceBets reserve the right to take back any bonus that has been granted and to declare that bonus as void. Should this situation arise, RaceBets may choose to settle bets at the correct odds, declare any free bets as being void, or void any bets made that have been funded by the deposit bonus. RaceBets will have complete discretion, in these circumstances. RaceBets also reserve the right to charge an administration fee of up to 100% of the deposit bonus, free bet, or any other additional payment, to cover our administration costs. RaceBets may ask any customer to provide documentation for the purposes of confirming their identity and we may also insist on the provision of a mobile phone number. RaceBets will have absolute discretion with regards to the verification of a customer’s identification. Should we decide that the documentation provided is insufficient or unreliable, we reserve the right to block any crediting of bonuses or free bets to that account. All customer offers are limited to one per person, family, household address, email address, telephone number, same payment account number (e.g. debit or credit card, NETeller etc), and shared computer, e.g. public library or workplace. We reserve the right to withdraw the availability of any offer or all offers to any customer or group of customers at any time and at our sole and absolute discretion.